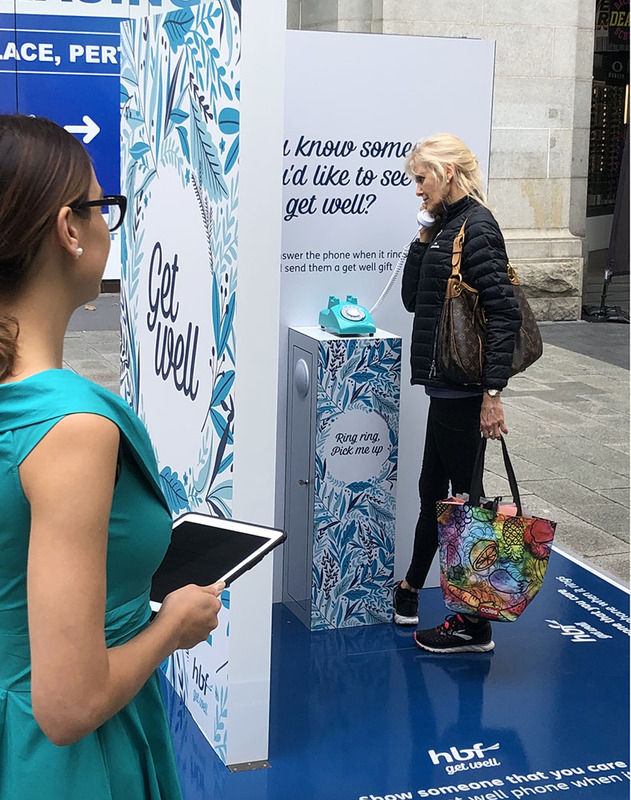 HBF, Western Australia’s largest health insurer and Australia’s second largest not-for-profit health fund, has launched a new brand platform, ‘Get Well’ to reaffirm that helping its members through life’s big health moments is its reason for being. Get Well is an external expression of HBF’s core promise, to deliver for its members in the moments that matter. “It could be welcoming a newborn into the world, preparation for knee surgery, or recovery from illness. We will be there, beside our members, to help them navigate the health system, while they concentrate on getting well,” HBF Executive General Manager, Member Experience, Selina Torrance-Duncalf said. A new campaign created by cummins + partners featuring ‘Get Well’ has launched with a major integrated roll-out, including TV, digital, OOH, print, radio, online films and across all owned assets. Specialist experiential agency Gettin Hectic has teamed up with HBF to create the ‘Virtual Visitor’ to support the launch. 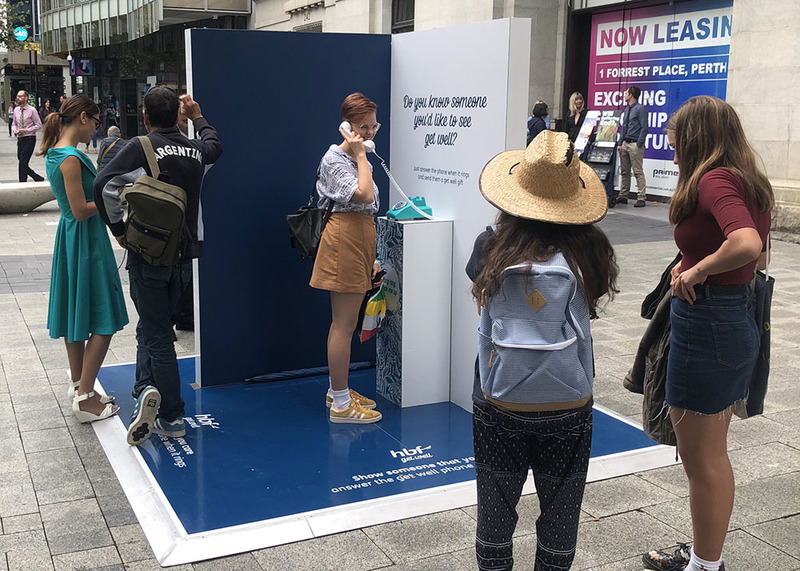 Specifically targeting an emotional connection with the brand, the Virtual Visitor is a giant Get Well card complete with a telephone which, thanks to an ingenious mechanic, rings when a member of the public walks past. Messaging on the card invites the public to pick up the phone and speak to an HBF operator, who explains what they are doing and asks if they’d like to send a personalised ‘get well’ message, hand-delivered to a loved one together with a bunch of flowers. The Virtual Visitor is currently touring Perth in various centres and locations in the vicinity of a HBF branch and has been amplified via a social campaign to extend reach.